February 2016 – A project by Philipp Schmitt, Jonas Voigt	and me. Why do future visions of robotics incite discomfort in our generation? Could robots truly render us obsolete or is it our fear of losing control? And are these fears conditioned or instinctive? Raising Robotic Natives explores interactions between children and robots that could raise them as the first generation of robotic natives. Just like digital natives grow up in the digital world, robotic natives are born into an environment that is adapting to robots. As a result of unbiased, childlike enthusiasm, they are socialized with the technology early on. Through constant robotic interactions and formalized education, robotic natives get to think differently about robots than we do. It will be their responsibility to shape the future of robotics, not ours—besides we’re robotic immigrants, after all. While the media portrays robots as two-legged sentient humanoids, the reality is that robotics is just not there yet. This project is about the near future: about what we might encounter on the way to implement science fiction. Apart from appliances like Roombas sweeping our floors, we imagine that post-industrial robots could soon find their way into our homes—in fact, they pop up on Kickstarter already.. We’re seeing a similar development with 3D printers in the last years: prices for industrial robots drop while performance increases. The availability of these technologies has invited a whole new ecosystem of people to hack, tinker, and dream up new applications. We assume that this ecosystem of people — creatives, early adopters, etc — will be the innovators helping their children become robotic natives. Raising Robotic Natives presents four objects that each stand for one influencing factor, a condition or step towards becoming a robotic native. Living Room Kill Switch; Robot, power socket, kill switch, toy. Just like digital natives are born into the digital age, robotic natives are born into an environment (partially) adapted to suit robots. 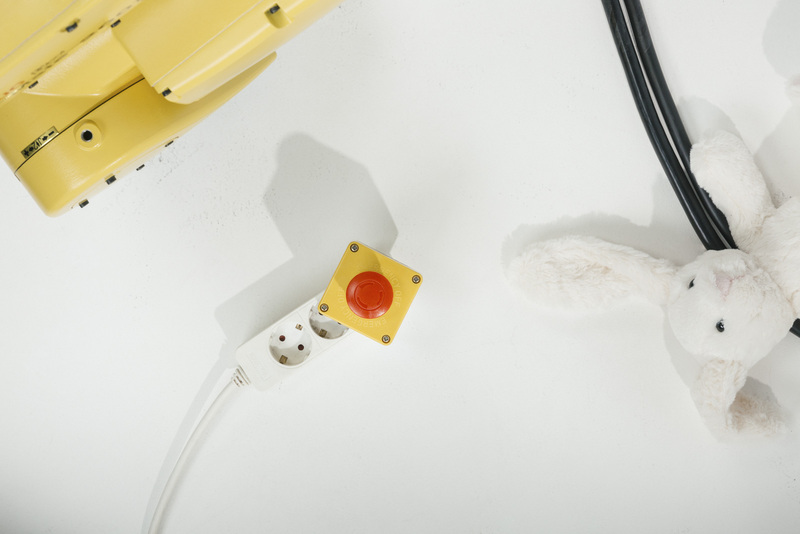 The Living Room Kill Switch explores what the advent of robots might mean for domestic infrastructure. The device is a simple hack: plug it into any regular socket. When pressed, it triggers a short circuit, shutting down all electricity. The Living Room Kill Switch satisfies an increasing need for security. Being that robots are devices traditionally reserved for the workshop and factory, at home it gives the feeling of unease, reminding of us of the possible dangers these machines once posed. Through government regulations, home security measures like this even become a necessity—just like smoke detectors in the past. For future children, the concept of "home" might be adapted to this integration of robotics; they will have to be sensitised to behave appropriately around robots. People are already Roomba-proofing their home. Likewise the kill switch poses questions about the aesthetics of the robotic home before we arrive at sophisticated, two-legged robots that can interact with the world just like humans do. Robot Baby Feeder; Robot, baby bottle, crib, toy. Robotic natives are exposed to robots early on, without a choice. A special bonding between man and machine might occur. The Baby Feeder toolhead can easily be 3D printed, fits a standard baby bottle and enables the robot to bottle-feed a child. In true automation fashion it saves parents 15–30 minutes per bottle. This makes for a significant increase in efficiency. 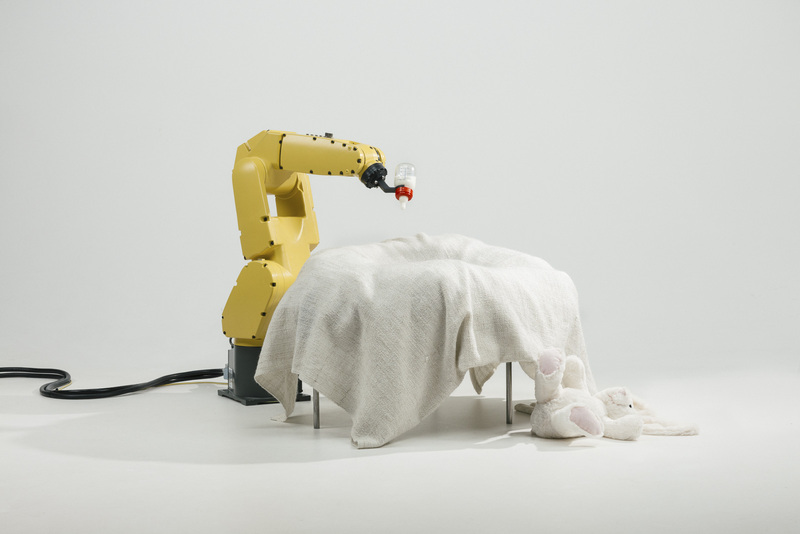 The Baby Feeder explores where we draw the line of just how much automation we consider desirable. The company behind Nespresso already offers capsules for baby milk. Should we let robots replace humans in those activities we consider most intimate? 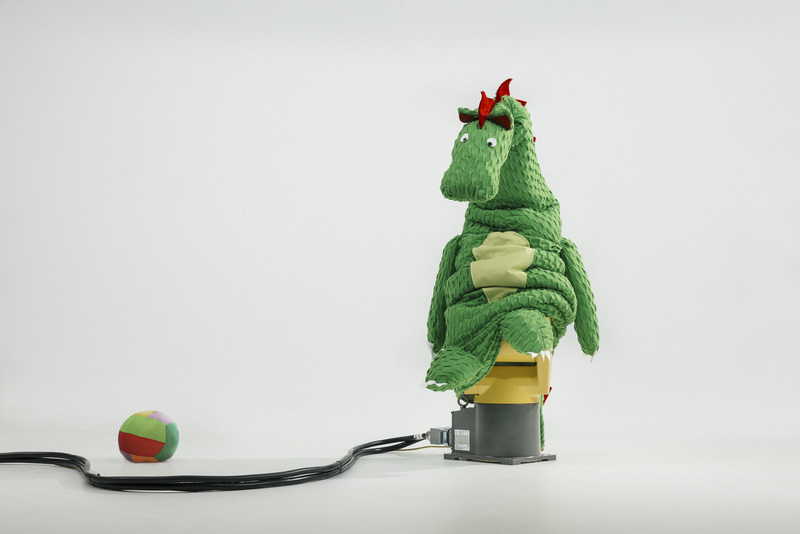 Industrial Robot dressed up as Dragon; robot, costume, toy. Constantly being around robots while growing up allows for innumerable interactions between children and robot. Robotic Natives become proven users of the technology and develop other mindsets or possibilities for what robots can do or provide compared to robotic immigrants. A fluffy robot costume makes the robot a play partner. Remember Furbys? Roleplay is very important for the personal development of a child. It helps the child process experiences, acquire skills and explore its personality. 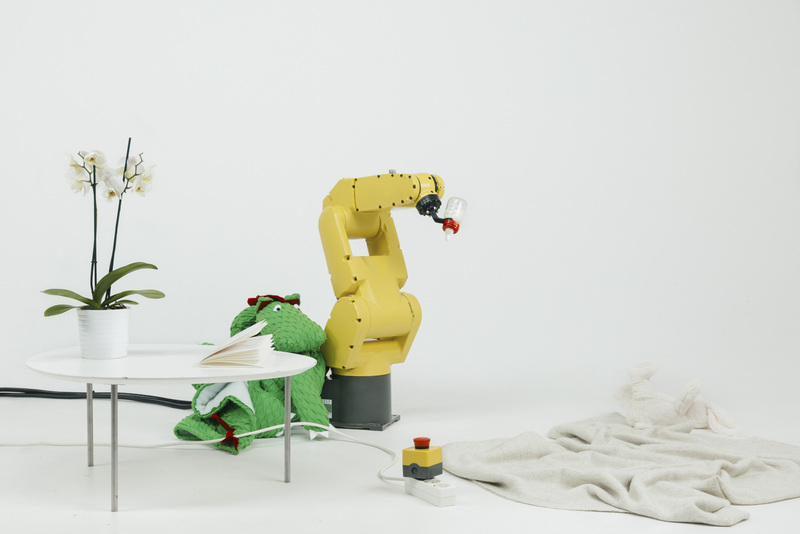 By personifying the robot to become a cute dragon, we want to explore its social status in society. Could robots exceed their role as tools if they are made more approachable? With more and more toys becoming digitized, affordable robot animals could be the evolution of playthings. Would you want to play with them or would you still be scared? Robotic Natives pose new educational challenges. The necessity for them to keep up with the most important technology of their time influences school curricula and career choices. 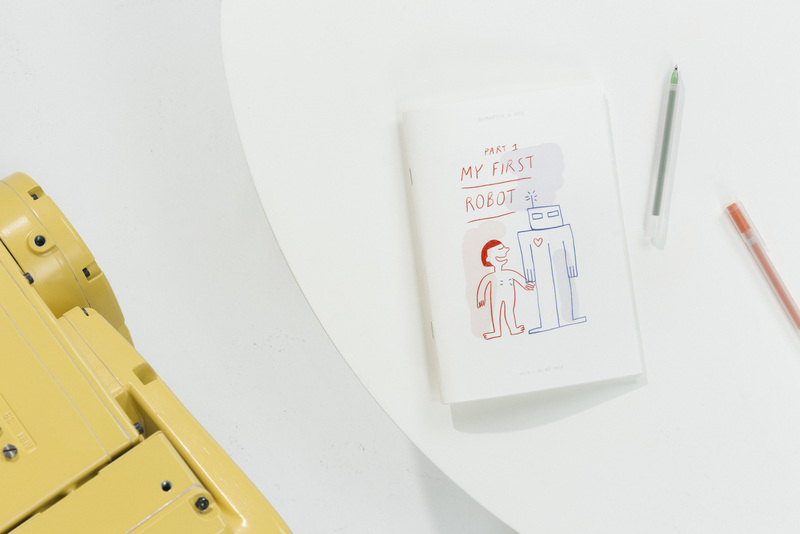 My First Robot is a children’s book, written in an educational interest. It offers an introduction to the history, present and possible future of robotics. Child-friendly illustrations of Asimov’s Three Laws of Robotics hint at debates about potential risks of artificial intelligence. The book raises the question about the necessity of school education in robotics, similar to coding initiatives today. When do we need to start teaching children about robots? Will education of automation technology ultimately lead to a competitive advantage for nations or undermine economies? Regarding the future of robotics, experts agree on one thing: that it is complex and too difficult to predict. Raising Robotic Natives depicts only one possible future that might be only partially desirable. Let’s wait until robotic natives are old enough to tell us about it.